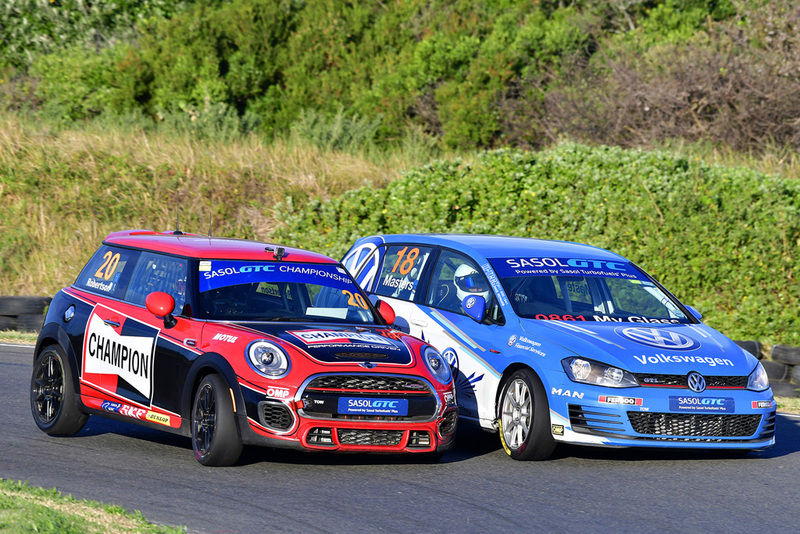 Lap records and unexpected winners could typify round seven of the 2018 Extreme Festival Series at the Aldo Scribante circuit near Port Elizabeth next Saturday (July 14). 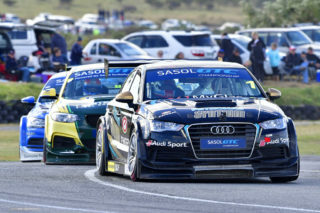 The reason for the event’s unpredictability is the fact that the 2,48 kilometre Eastern Cape circuit has been fully resurfaced. Formerly known for its tyre shredding capabilities, the track now boasts a world-class surface – which means that all competitors will need to find brand new suspension settings to be competitive at the venue. Officially, the day’s top billing will belong to the Sasol Global Touring car brigade, where five separate drivers have won the season’s first eight races thus far. 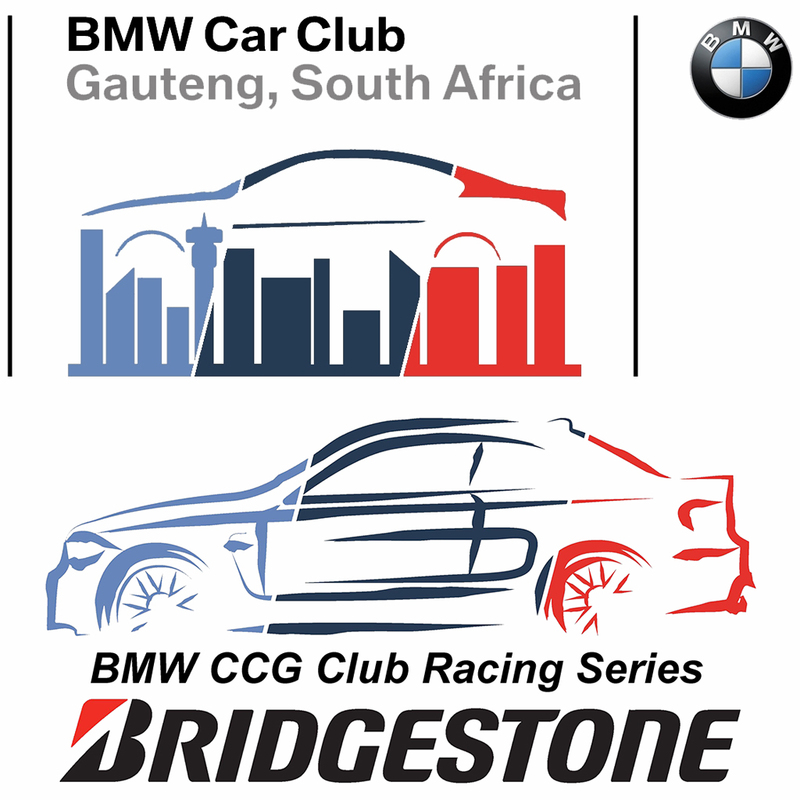 Leading the title chase will be Gennaro Bonafede (Sasol BMW GTC), with his closest adversaries Engen Audi drivers Michael Stephen and Simon Moss. Privateer Michael van Rooyen (RSC BMW GTC) and Daniel Rowe (VW Motorsport Jetta) are next up in the title chase, and both could take podium places. 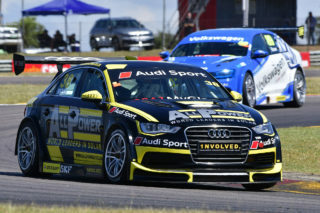 So could Johan Fourie (EPS Couriers BMW GTC), Robert Wolk (Sasol BMW GTC) and Mathew Hodges (VW Motorsport Jetta). 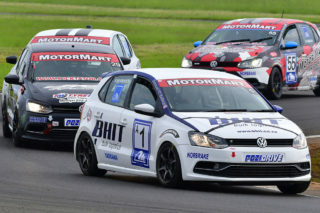 The GTC2 category should see Keagan Masters (VW Motorsport Golf GTi) as victory favourite, challenged by the likes of Bradley Liebenberg (Ferodo Mini JCW), Devin Robertson (Champion Mini JCW), Trevor Bland (Universal Health VW Golf GTi), Adrian Wood (Kyocera VW Golf GTi), Charl Smalberger (UniChip VW Golf GTI) and Dayne Angel (Angel Autohaus Honda Civic Type-R). 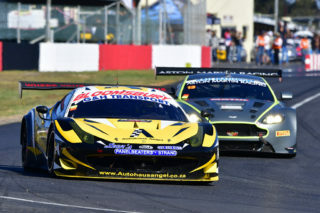 The biggest crowd drawcards could well be two races for G&H Transport Extreme Supercars. 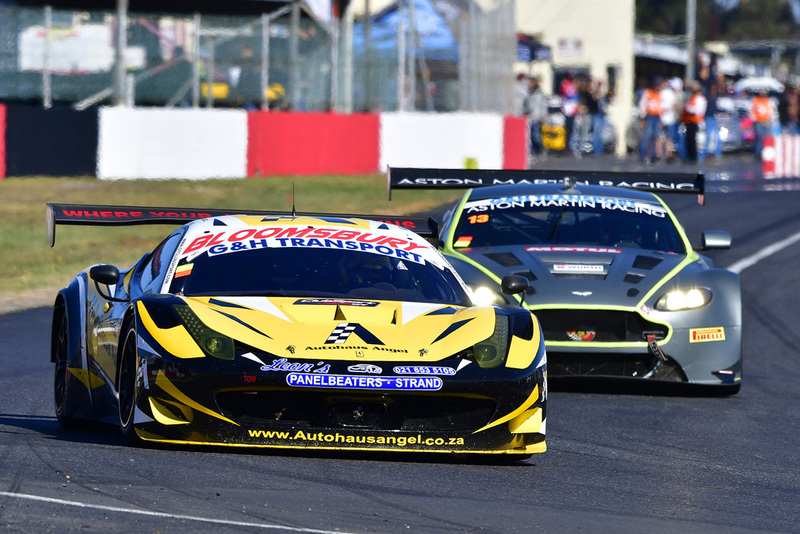 Topping the entry list will be championship leader Charl Arangies (Stradale Lamborghini Gallardo), challenged by the likes of Franco Scribante (Porsche 997T), Dawie Olivier (G&H Transport BMW M3 Turbo), Jonathan du Toit (TAR Ferrar F430), Nicky Dicks (Stradale Porsche 997 GTS), Marcel Angel (Angel Autohaus Ferrari 458), Gianni Giannoccaro (G&H Transport BMW E92GT), Craig Jarvis (MAUI Ferrari 430GT3) and Mark du Toit (TAR Ferrari F430). 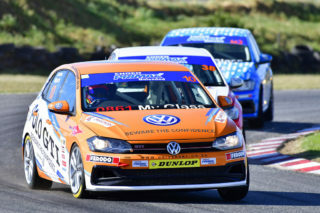 The day’s closest racing could be provided by the Engen Polo Cup contingent, where Jeffrey Kruger (Universal Health Polo), Tasmin Pepper (Electric Life Polo) and Jonathan Mogotsi (VW Motorsport polo) should continue their three-way battle for supremacy. 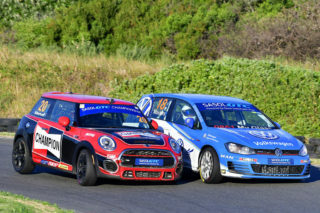 Able to interfere with their fight should be drivers like Keegan Campos (Campos Transport Polo), Clinton Bezuidenhout (Glyco Engine Polo), Shaun La Reservee (Alpine Motors Polo), Daniel Dumini (SMD Group POlo), Delon Thompson (MF Autobody Polo), Darren Oates (Payen Polo) and Justin Oates (URUP Polo). 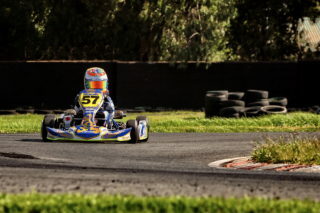 Another tightly contested category will be the that of the Investchem Formula 1600 crowd. Topping their points ladder are Nicholas van Weely (Magnificent Paints Van Diemen) and Stuart White (Fantastic Mygale), with other front runners likely to include Alex Gillespie (ERP Trucking Mygale), Scott Temple (Mygale), Andrew Schofield (Investchem Mygale) and Port Elizabeth home town wildcard Chassen Bright (Fuchs Fantastic Mygale). Heading up the two-wheeler entertainment will be two races for Red Square Kawasaki Masters, with the season-long fight between Graeme van Breda (Stefanutti ZX10R) and Sven Grune (Kawasaki ZX10R) set to continue.Others to watch should include Jason Lamb (Kawasaki ZX10R), Gareth Bezuidenhout (Kawasaki ZX10R), Teddy Brooke (Brooke Refrigeration ZX10R), Wayne Spicer (Wellness Group ZX10R), Jaco Gous (Kawasaki ZX10R) and Jonty Collard (Kawasaki ZX10R). Veteran ace Lance Isaacs (Supabets BMW S1000RR) will be the rider to beat in the Bridgestone Thunderbike races, chased by people like Gavin Upton (Turn Stall Yamaha R1), Shaun Vermaak (Kawasaki ZX10R), Jordan Agliotti (West Side Honda CBR), Dirk Stols (Road Spec Kawasaki ZX10R) and Hein McMahon (BDJ Freight BMW S1000RR). The circuit gates will be open from 7am, with qualifying sessions for all categories from 8am. Racing proper will commence at 10.40am. Admission will cost R80 per adult, with kids under the age of 12 to go in for free. For more information, contact www.amsc.co.za.